Originally applied to a factory Porsche 962C, the 118 chassis number is believed to have been used for at least four other Thompson-tubbed Kremer 962s. This was probably to avoid paying custom charges for every new car. Featured is one of these early 962 CK6s, using chassis 118. 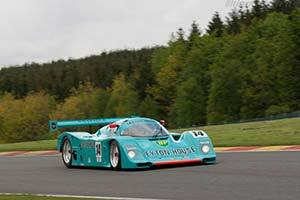 It is believed to be the fourth and final Kremer/Thompson 118 built, which raced in the World Championship in 1987 and 1988 and was subsequently campaigned in Japan. Today it has been beautifully restored to the Leyton House livery used by the Kremer works team and is a regular in historic events.